Compare The Best U.S. Credit Cards for Canadian Snowbirds! For most purchases, using a credit card is by far the most convenient payment method, not to mention the added benefit of loyalty rewards that many credit cards offer. But for Canadian snowbirds who spend a significant amount of time in the U.S. making purchases in U.S. dollars, not all credit cards are created equal. If you’re a snowbird it’s important to understand the different types of credit card options available to you. 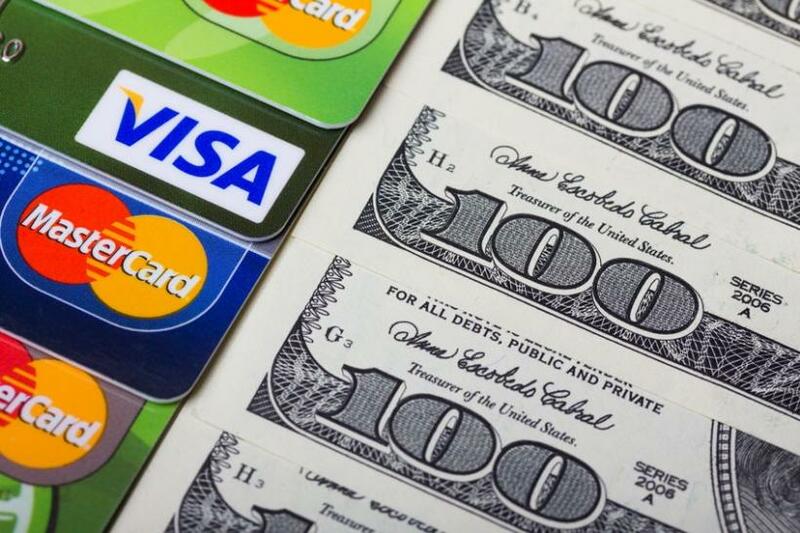 Not understanding how these various cards operate can end up costing you money unnecessarily. And you could also be giving up potential rewards and benefits. To help you navigate your way through the different types of credit card options available to Canadian snowbirds, we’ve provided an overview below, including the pros and cons of using each type of card. We’ve also consulted with an expert from RBC Bank about the differences among the available options. In most cases, a Canadian dollar credit card is the worst option for Canadian snowbirds planning to spend a significant amount of time in the U.S., and our expert would agree. “Using a Canadian dollar credit card for U.S. dollar purchases has hefty fees – often unknown to the cardholder,” said Kristen Doherty, Vice President – Sales, Marketing & Communications, RBC Bank USA. “When you use your Canadian dollar credit card for U.S. dollar purchases, there is typically a foreign transaction fee charged to the consumer, which is usually 2.5% of the transaction amount. Keep in mind that this is in addition to any foreign exchange costs you incur to make your purchase”. Most Canadians don’t realize they are paying this additional foreign transaction fee because it is usually not broken out on your statement. Due to this lack of transparency, Canadians are often unaware that they are paying an additional $25 in foreign transaction fees for every $1000 they spend on U.S. dollar purchases with their Canadian dollar credit card. Snowbirds are also impacted by foreign exchange costs when you make a purchase in U.S. dollars. With a Canadian dollar credit card, your U.S. purchases are converted to Canadian dollars using the credit card company’s posted FX rate on the date you make a purchase. This means that unlike U.S. dollar credit cards, you don’t have the flexibility to convert funds to pay your credit card bills on dates when the exchange rate may be more favourable. The only advantages to using your Canadian dollar credit card to make U.S. purchases are the convenience of only having to pay one credit card bill and collecting rewards points. However, the hefty additional costs usually outweigh these benefits, and some U.S. dollar cards will still allow you to collect rewards points (more on that later). Another option is a U.S. dollar credit card issued by a Canadian bank (all major Canadian banks offer these cards). While this is a preferable option to Option #1, it still has some drawbacks. Yes, you’ll avoid the foreign transaction fee, but you’ll likely pay an annual fee of between $35 - $65 CDN, and often an addition fee for a joint user on the card. And while some Canadian issued U.S. dollar cards do offer rewards points and other benefits like insurance coverage, most do not. As for making payments on these cards, most people open a U.S. dollar account in Canada (often with a monthly service fee attached) and make their payments from it - but you can also purchase a USD bank draft - typically around $7 per draft. Another option that some Canadian snowbirds have chosen is to open an account with a U.S. bank that is not affiliated with a Canadian bank and get a credit card issued by that bank. There are certain advantages to this option, such as U.S. dollar credit cards options with no annual fees and no foreign transaction fees. In addition, these cards often come with reward programs and other perks. Another advantage is that you can easily make other U.S. bill payments from your account and get cash from some U.S. ATM machines using a U.S. debit card. The rewards offered on these U.S. credit cards that are not affiliated with a Canadian bank cannot be combined with your Canadian credit card rewards program. Transferring money between your Canadian bank account and U.S. bank account that isn’t affiliated with a Canadian bank isn’t always an easy process and can end up costing you a lot in fees. In recent years, some Canadian banks have moved into the U.S. and started offering U.S. credit cards and bank accounts to Canadians through their U.S. affiliates. These solutions are similar to those offered by other U.S. banks, but come with additional benefits. Just like with other U.S. banks, there are credit card options with no annual fee and no foreign transaction fees. You’ll need a U.S. bank account with the U.S. division of the bank to pay off your credit card, but the bank account comes with other benefits such as the ability to make bill payments and transfer money in the U.S., get cash from some U.S. ATM machines with low or no fees and make purchases using a U.S. debit card. Additional benefits include the ability to link with your Canadian bank account if you use the same bank back home in Canada. This makes transferring money between countries and paying off your U.S. credit card easier. In some cases, you are also able to transfer your rewards points back to your Canadian credit card. Canadian Dollar Credit Cards: If you’re a Canadian snowbird who makes a significant number of purchases in U.S. dollars, using your regular Canadian dollar credit card is usually your worst option due to the hefty foreign transaction fee and the lack of a U.S. bank account that provides advantages like being able to pay U.S. bills online, transfer money in the U.S. and access cash from some U.S. ATMs for low or no fees. U.S. Dollar Credit Cards Issued in Canada: This option may be fine for an occasional travellers, but is not usually ideal for snowbirds spending longer periods in the U.S. While you’ll avoid the foreign transaction fee, your credit card will usually have an annual fee associated with it and you’ll likely need to open a U.S. dollar bank account in Canada to pay your monthly credit card bills for an additional fee. However, unlike a U.S. based bank account, you won’t get the added benefits of being able to pay U.S. bills online and potentially lower ATM fees in the U.S.
U.S. Dollar Credit Card from a U.S. Bank: Until recently, this option was more popular among Canadian snowbirds who wanted a U.S. dollar credit card issued in the United States. However, it has become much less popular in recent years, as some Canadian banks have started offering better U.S. based credit card and cross border banking solutions that have all of the benefits without the drawbacks. Remember, Canadians are considered “foreign nationals” in the US, and many US banks prefer not to work with foreign nationals - or charge them a premium - due to the strict regulatory environment. U.S. Dollar Credit Card from a Canadian Affiliated U.S. Bank: For snowbirds who spend a significant amount of time in the U.S. making U.S. dollar purchases, this is often your best all-around bet from a cost, convenience and benefits standpoint. You’ll avoid foreign transaction fees, get the benefits of a U.S. based bank account and be able to link with your Canadian bank account - as long as you bank with the same institution back home.